This chapter begins with Schuyler integrating her new device into all facets of life. It was even helping her learn to spell, which was encouraging. Her father shares a sweet moment with her as she spells and says her name for the first time. Schuyler had taken the initiative to learn to spell her name as it was not being actively taught to her from the spelling page of her device. Robert mentions that this is a moment that he will remember forever. This chapter is all about Schuyler’s voice. She qualifies for summer school and the teacher mentions in conversation that Schuyler is using her device in some of her classes. Wait! The parents are mortified that she is not allowed to use her device all the time. We see Julie and Robert again strive to give their daughter the chance to be like every other kid, even if that means disrupting class. And so the next struggle begins. The struggle to get educators to realize that the device is actually Schuyler’s voice. To make matters worse, the speech function of her device was being turned off. How disheartening! Robert makes note that Schuyler notices that she is different for the first time in this chapter. She realizes that the other kids don’t need a box to talk. The couple still contemplates moving down the road to Round Rock school district where they had seen some level of enthusiasm about the use of augmentative communication devices. The chapter ends with Robert and Julie feeling a deep level of sadness, feeling defeated. Once again, things didn’t quite work out the way they had hoped. Schuyler’s parents had fought hard to give her a voice. There has been much benefit to experience the emotions of this family on their journey. Reading this book has made me think about the importance of our role as speech language pathologists. Educating others on the significance of allowing/encouraging students to use AAC devices is obviously highlighted in this chapter. What do you think about this topic? …also known as being flexible. Don’t they know how much planning it takes to go with the flow? As we enter this holiday season, there will be many times that, as a school-based SLP, you will be expected to ‘go with the flow.’ That doesn’t mean skipping therapy sessions completely. 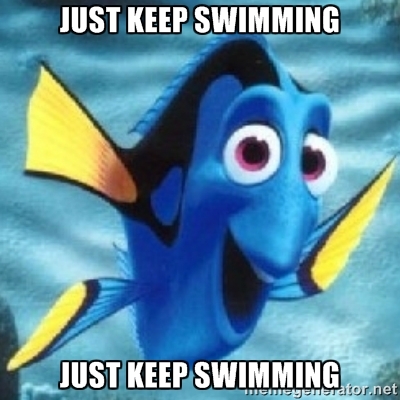 It also doesn’t mean sticking to your rigid schedule through the thick of the party/assembly/absence-ridden season. It means providing quality therapy, even if it means you have to take a different approach than you normally would. As you are planning to ‘go with the flow,’ what are some of your tips and tricks to fit in meaningful therapy, even amid the chaos of the holiday season? Please be willing to share, even if you think it is something simple–It may be incredibly beneficial to another therapist who is struggling through this season. There is so much in Chapter 18!! Julie and Robert felt that they were “taking on” the school system to get the best services for Schuyler. They wanted the more advanced communication device options for her, and Margaret, the technology advisor, wanted to start with a simpler model. The couple talked with the sales representative from Prentke-Romich, who allowed Robert to speak about some of his thoughts about Schuyler, specifically her cognitive ability. She wanted to know if Robert thought there was a degree of “retardation.” Robert’s careful response was that he thought she was capable of much more than the school gave her credit for. He continues to think he and others have failed Schuyler. When Robert told the school technology advisor about the meeting with the rep, she was rather offended that she had not been included. Robert felt he was being “talked down to” during their conversation, and he tried hard to be diplomatic. After speaking with a friend regarding the high prices for these devices, he was encouraged to enlist the help of his blog readers. His friend was willing to help with the site, and “Schuyler’s Fund” was born! Next, Margaret, along with Julie and Robert, met Holly, the sales rep from DynaVox. Robert really felt that though the DynaVox seemed easy to use, the PRC device had a “much more robust language system, one that required the user to learn how to construct sentences and organize thoughts, not build pages.” Margaret, who turned out to be an occupational therapist and NOT a speech therapist, continued her stance of recommending a simpler system, and even told them she would be submitting a request for the DynaVox MiniMo. Margaret let the family know that it is the school’s legal responsibility to provide the device for Schuyler and that it would be a mistake to make that kind of investment without the support of the school. Julie asked her if that meant that the school would not support the use of a more advanced device. Margaret said the school would do what the parents wished, as long as it was within the guideline of the most recent IEP. After a lot of “back and forth” about another evaluation, about the devices, the school system found an older, “loaner” device that was similar to the one the family wanted to order. Getting that to explore took a backseat to some joyous news. First of all, toilet training had all of a sudden become successful!! And thanks to many, many wonderful readers over just 5 weeks, the fund raising page could be shut down! The money had been received for the new device. In this chapter, the family is first introduced to a voice output device. While the device was relatively simple, it opened Schuyler’s parents minds to new possibilities for her. This also is the part where they had to go over her evaluation and you can hear her parents absolute frustration that they appeared to score her even though it was evident she did not really cooperate. There was obvious frustration toward the speech therapist as she was not willing to incorporate the parents wishes to add signing in Schuyler’s plan. There was a bright light at the meeting for them when the technology person brought various devices for them to look over for possible voice output devices; however, frustration returned when they were told Schuyler could not have the more advanced voice output device, essentially that she was not ready for it. You could hear frustration and anger from her parents that they felt all they heard was what she couldn’t do and what she wasn’t ready for yet. Even though the device she had was relatively simple, it opened up Schuyler’s parents eyes to new possibilities for communication for her. They could also see how excited Schulyer was to have words that she was able to use and that it allowed her to communicate more than she was able to before. When they realized how quickly Schuyler was mastering the voice output device she had, they looked into options for a more complex one but soon realized how high the prices were and that their insurance flat out refused. They looked into laws but realized the school district was only obligated to provide a device, not necessarily the one Schuyler needed but they knew that she needed something more and that’s where this chapter leaves us. Thoughts: It’s very easy to see why the parents are frustrated but then working in the system, I can understand why the school started with a simpler advice. I feel like the school did the right thing by introducing the device but wonder why there was no real attempt at augmentative communication earlier, especially since the parents had asked for signs to be incorporated into speech. It aso makes you realize that many children probably don’t get the correct communication device or even opportunity to use a communication device due to funding or lack or education on different AAC options. This chapter seems to be a turning point as her parents realize there is a way for her to communicate very effectively and that AAC provides a way for Schuyler to have a true voice. We are already well into the school year! Halloween may be over, but it won’t be long before we celebrate Thanksgiving and Christmas. As the holidays approach, I often try to think of fun ways to incorporate the festivities into therapy sessions. One of my students’ favorite way to celebrate the holidays is through food crafts. During food crafts, I have students make inferences about what we are going to make, how we will make it, why we are making it, and safety/hygiene. I have them answer WH questions, practice good articulation, focus on social skills (don’t lick the spoon! ), follow simple and multi-step directions, predict the next step, explain vocabulary related to the holiday, and many more skills. I will often pair crafts with short videos about the holiday’s origin or a tradition. I may also pair it with a short story, short video, or book centered on the main idea of the craft. For those activities, I conduct them just as I would normally but link them to the food craft. For example, I would show a Derby hat clip, ask questions about the clip, and then have them infer how we are going to decorate our cookies. The hardest part of a cookie crafting activity isn’t figuring out how to work on their target skills, but finding an easy and cheap idea that matches the holiday. My goal in this post is to give you several ideas and materials to address goals with the fun that is food crafting! The most universal food item for food crafting is the sugar cookie. You can often buy large packs of them at any grocery deli for a decent price and there are so many things you can do with them! In this post, I’m going to give you a few of the ideas I have used with my students. You will need a sugar cookie, mini marshmallows, icing of any color (or white with food coloring to let students choose), candy corn, and either writing icing or disc sprinkles for pupils (I used disc sprinkles). To make monster cookies, each student gets one sugar cookie. They are instructed to cut it in half. You will then ice the bottoms of each half. Marshmallows are placed along the curved edge of the cookie and the sides are sandwiched together. They can then either ice the top of the cookie or dip candy corn and marshmallows into the icing to add horns and eyes. They are given the opportunity to either follow directions or be creative, depending on what you would like. They can add one eye and two horns, three eyes and two horns, or one horn and two eyes, etc. For Vampire teeth follow the same steps as the Monster cookie. Cut in half, put icing on both halves, apply marshmallows for teeth, and sandwich together. Then dip two candy corns into icing and apply where vampire teeth would be. You will not add icing or items to the outer parts of this cookie. 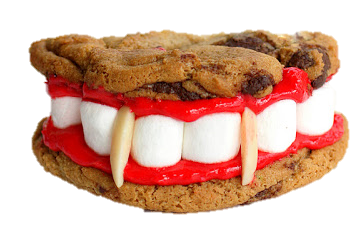 Below is an example that uses chocolate chip cookies and almond slivers as the vampire teeth. I usually avoid nut products when making food crafts because of allergy risks. You will apply the candy corn where the almond slivers are to create the teeth. To turn cookies into Turkeys, you will need sugar cookies, candy corn, orange writing icing, red writing icing, vanilla wafers (mini), and candy eyes (writing icing or candies can be a substitute). Use the writing icing to attach candy corn along the edge of one side of the cookie to form feathers. 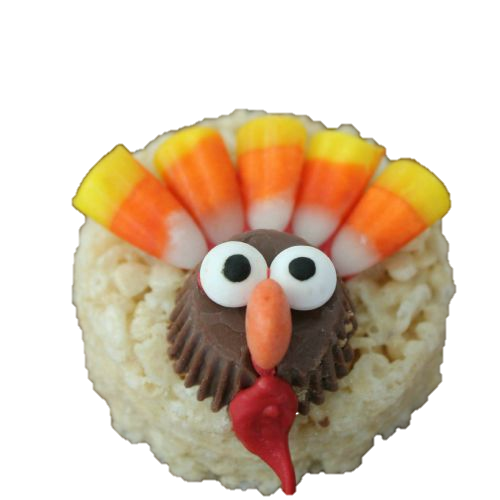 The photo example below shows a rice crispy treat turkey with a pb cup as the face. Use the same design but change the treat for a cookie and a mini vanilla wafer to replace the pb cup. Attach the wafer using the icing below the feathers. Attach candy eyes to the top portion of the wafer (or pipe on eyes or use candies). Use orange writing icing for the nose and red to create the wattle. You will need sugar cookies, large marshmallows, white piping icing/royal icing, red piping icing/red licorice pulls, orange writing icing (small), black writing icing (small), and mini M&Ms. Have the students apply white icing to the entire cookie. It looks better if they apply it in an odd shape that doesn’t look perfectly round. Give them a marshmallow and instruct them to squish the marshmallow to make it look somewhat flatter. Attach the squished marshmallow to the cookie. Be sure to place it off center! Use black writing icing to make arms on the cookie and a mouth with eyes on the marshmallow. Use orange writing icing to create the nose. Mini M&Ms are placed on the cookie for buttons and a red licorice string or red piping icing is used to create a scarf. You will need sugar cookies, mini-pretzels (plain or fudge dipped), red M&Ms, chocolate icing, candy eyes, and mini-vanilla wafers. (The picture shows the cookie with a different flavor, any type of cookie will work). Apply chocolate icing to the whole cookie. 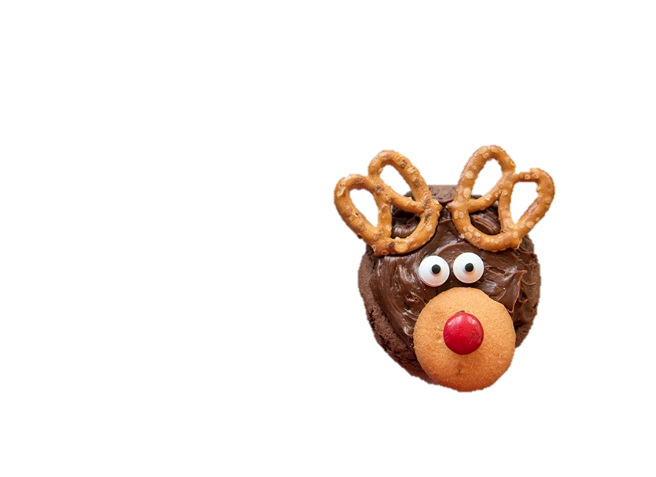 Place two mini pretzels on the top of the cookie for antlers. Toward the bottom of the cookie (opposite the pretzels) apply the mini wafer. Use piping icing or candy eyes and place them above the vanilla wafer. Use icing to attach the red M&M. You will need sugar cookies, icing of any color you prefer, mini M&Ms, Rolos (in the tube with the wrappers on). Have the students put icing on the entire cookie. Have them attach the Rolo to the top of the cookie with icing. Then allow the student to create patterns and designs using the mini M&Ms. SUGGESTED BOOKS/ACTIVITIES: A Charlie Brown Christmas, Nightmare before Christmas, A Christmas Carol, and The Grinch that Stole Christmas. You can also show clips of these movies and ask questions about specific scenes. If cookies are getting old or aren’t your thing, this might be a better food craft for you. 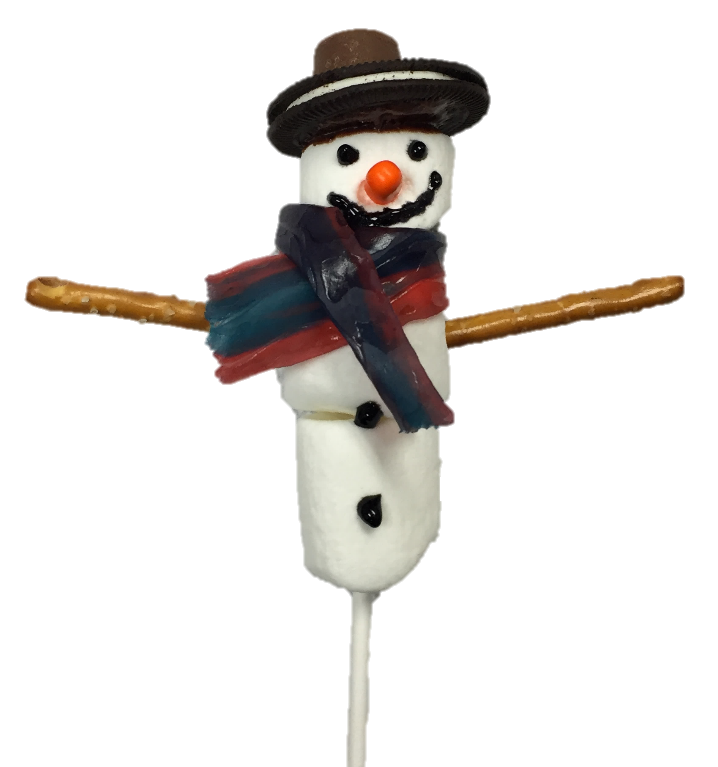 You need 3 marshmallows (large), black writing icing, Oreos (thin or pulled apart), Rolos or mini pb cups, pretzel sticks, fruit by the foot, orange tic-tacs, and cake pop/sucker sticks. The students will first place the marshmallows on the stick. Then they will create the hat. The student will take an Oreo and apply icing to the center. Then he/she will add the Rolo to that icing. Another swirl of icing will attach the hat to the snowman’s head. Then apply dots of black writing icing to create eyes, a mouth and buttons. Use a knife or toothpick to poke holes for the nose and arms. Apply pretzels for arms and the tic tac for the nose. Lastly, use a section of fruit by the foot to create a scarf. I find it works better when folded in half length-wise. 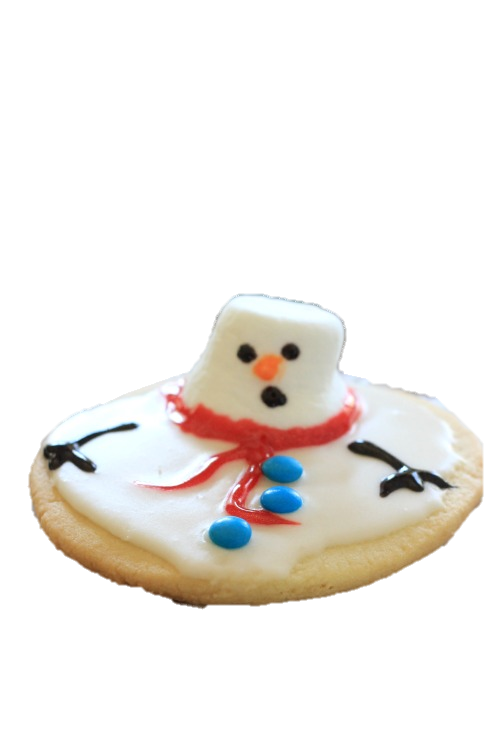 SUGGESTED BOOKS/ACTIVITIES: See above suggestions for Melted Snowman Cookies. You will need white icing (optional), black writing icing, another color writing icing, and colored sugar (any color). With this cookie you can put icing on the whole cookie or just pipe on the designs. It is up to you! If you put it on the whole cookie, put a layer of white icing. Then carefully write the numbers on the clock for 12, 3, 6, and 9. Place 2 dots between each number. 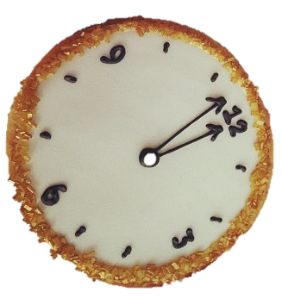 Put clock hands on pointing to midnight or just before. Put a circle of colored icing around the edge and apply colored sugar. You will need sugar cookies, white icing, writing icing in various colors, sugar or other types of sprinkles, and toothpicks. Put white icing over the whole cookie. Make sure that the icing is thick enough to drag a toothpick through. 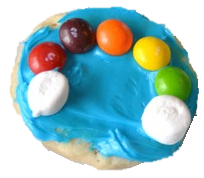 Apply a large dot of colored icing in the middle or in different places on the cookie. 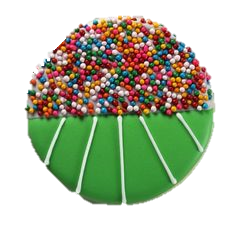 Or you can apply rings of different colors on the cookie (this is what the picture shows). Drag the toothpick through the icing to create an exploding firework design. Add sprinkles to the cookie. The below example is for Fourth of July and doesn’t include sprinkles. You can make changes to make it work for New Years. Use Halloween monsters but in pinks, red, and white. Use Valentine candy corn or conversation hearts (for horns/ears). (Sorry, no photo for this cookie. Refer to Halloween cookie). You will need sugar cookies, a large amount of white icing, food color (red, yellow, blue), black writing icing, non-zipping sandwich bags, fruit rollups (optional), heart shaped candy (optional), sprinkles (optional), small heart cookie cutter (optional), and starburst (optional). The above list of supplies can be narrowed down to less items. You have the students start by mixing the white icing with food coloring to create yellow, red, blue, and pink icing. Have the students apply the yellow icing to the whole cookie. Pause and have the student choose an emoji to create. You can have them create happy faces, kiss faces, love faces, surprised faces, mad faces, or any emoji you feel is appropriate. They can create hearts, lips, tongues, and other red parts of the face using cut outs from fruit roll ups, molding starburst, conversation hearts/candy, or any candy that you feel will work. The students should use black icing to draw eyes. They can also pipe designs onto the cookies using the sandwich bags as piping bags. (Make sure you make the hole in the corner of the bag small to make writing easier). 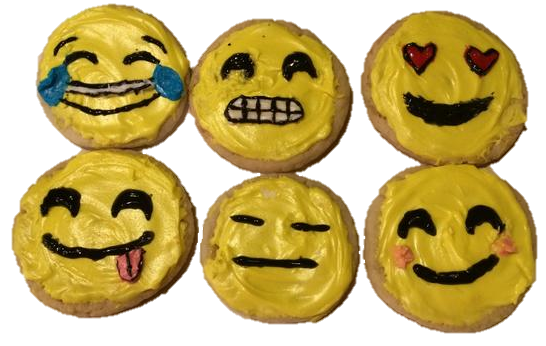 ***For the Emoji cookies, you can print out versions of the emoji that are the options to make and discuss the emotions they represent, why they are relevant to Valentine’s day, how you can tell when someone feels this way, discuss a time that the student felt that way, and even make social inferences about these emotions. 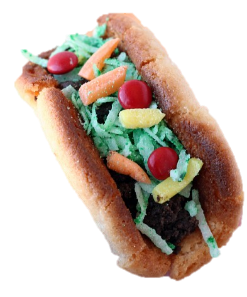 You will need sugar cookies, white icing, food coloring in green, sandwich bags for piping, and multi-colored ball sprinkles. This cookie is easy. Have the students put white icing on one side of the cookie and green on the other. To the white side apply sprinkles. To the green side, pipe yard lines. SUGGESTED BOOKS/ACTIVITIES: Goodnight Football, Kids Snippets News- 2015 Super Bowl Highlights (This is a funny video that starts with super bowl and moves on to the Grammys. You can use it to determine why it is funny, infer the age of the speaker, start a discussion about the Super Bowl, etc.) https://youtu.be/X7zoI8zFD6k, You can also use last year’s commercials to work on language goals or social skills. You will need sugar cookies, green icing, jumbo marshmallows, licorice pulls/strings (black), yellow piping icing/writing icing or a small square of yellow starburst, cup of water, food safe paint brush or toothpicks, and green sugar. Have the students put green icing over the entire sugar cookie. Using a small cup with water, either put the large marshmallow on the toothpick and dip it into the water or use food safe paint brush to paint on the water. Once the marshmallow is wet, roll it in green sugar until completely coated. Place the marshmallow flat side down onto the center of the cookie with icing. Use the black licorice pull to create a ribbon around the base of the hat (this can be done with writing icing as well). Use yellow writing icing or small cut square of yellow starburst to create a buckle. You will need sugar cookies, blue icing (substitute green if you’d like), mini marshmallows, and skittles/fruit loops/lucky charm marshmallows. Have the students cover the top of the cookie with icing. Then have them use the candy/cereal to create a rainbow on the cookie. One mini marshmallow goes at the end of each side of the rainbow (clouds). You can also do rows of colors instead of one arch with multiple colors. You will need sugar cookies, Regular size vanilla wafers, 2 pastel colored icings (or white), round candies like M&Ms, heart shaped sprinkles, pink starburst, mini marshmallows (white or colored). 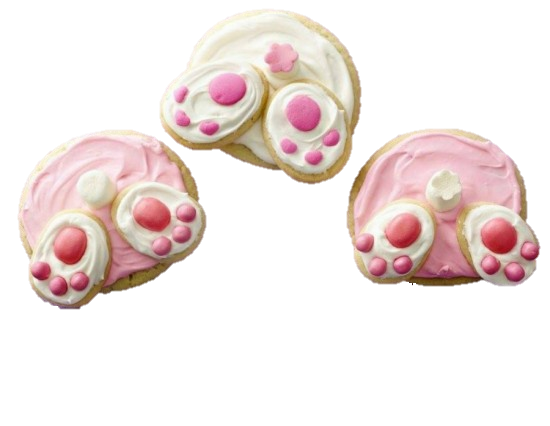 For this cookie, you can switch out candies, you just want to be able to create paw pads with them. Round candies of two sizes, heart shapes, or moldable candies would all work. Have the students put one color icing over the entire sugar cookie and the other color over 2 vanilla wafers. Have the students place the wafers on the cookies to one side and slightly hanging off. Apply the candies to the tops of the vanilla wafers to create paw pads. Place the marshmallow on the sugar cookie to be the bunny’s tail. SUGGESTED BOOKS/ACTIVITIES: For older students, Video about the history of the Easter Bunny https://youtu.be/MQz2mF3jDMc; For little kids, Video about rabbit facts https://youtu.be/0e1mXp8BNEY; Duck! Rabbit! (Good for younger kids and gives you a lot of discussion points!) https://youtu.be/hPCoe-6RRks, Little Bunny Foo Foo (Good for young and MSD students to address social skills and inferences https://youtu.be/FvQZwtxCQ5w. 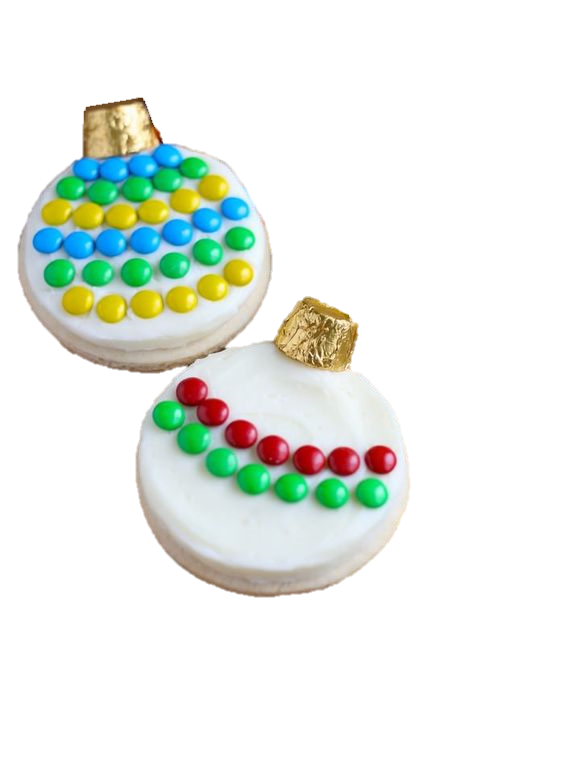 You will need sugar cookies, piping icing of bright colors (I gave the students 3 choices: yellow, green, and red), multi-colored sprinkles, and either dots candy or spice drops. Students prefer dots candies, but sometimes they are hard to find in large quantities). The student will pick a color (or two) of icing. 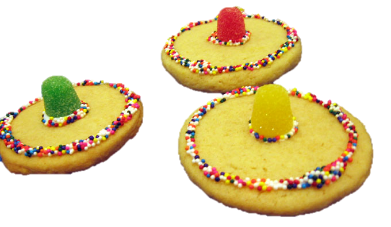 A circle, slightly larger than the base of the candy, should be drawn in the middle of the cookie. The candy will be placed in the center of the circle. Then a line of icing will be piped around the outside edge of the cookie. After the cookie is iced, allow the student to push sprinkles onto the cookie where there is icing. You will need sugar cookies (soft bake work better for this one), chocolate icing, Oreos, shredded coconut, green/yellow, orange food color, red M&Ms, and yellow and orange starburst or white icing with sandwich bags (optional). If you got soft bake cookies, fold the cookie without breaking it to form a shell. If you didn’t, then cut the cookie in half. Have the students crush the Oreos in a plastic bag (Sensory play!) and transfer them to a bowl. Add some chocolate icing to the mix to bind the Oreos together. Spoon the Oreo mixture into the “taco shells” and sit to the side. Place coconut into the bags and add a drop of green food color. Have students shake bags until coconut is green. This is the lettuce! For cheese, you can either cut the starburst into shredded cheese, use coconut with yellow and orange color, or make yellow/orange piping icing. Put the “lettuce” and then the “cheese” on the taco. Then place red M&Ms to be the tomatoes. You will need sugar cookies, vanilla wafers (original size), golden Oreos, sprinkles, a few different colors of writing icing, and any candies you feel you could use to decorate. This cookie is fairly creative and easy. You will have the students build the hat by placing using icing to attach the Oreo and vanilla wafer to the center of the cookie. After that, they can use icing, candy, and sprinkles to decorate their derby hat. Have the students put icing on the entire sugar cookie. Divide the golden Oreo in half, trying to keep the crème all on one side. 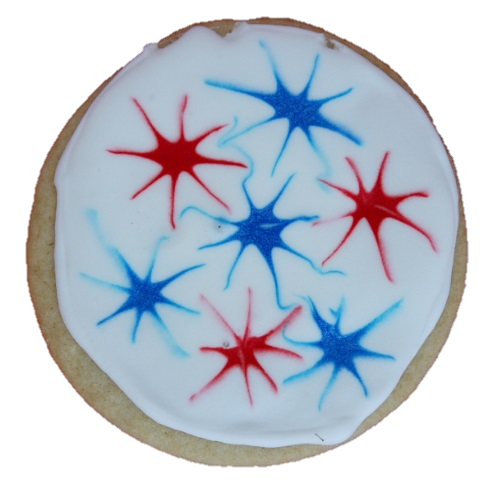 Let the student choose which side they want to apply to the sugar cookie (the crème can act as a bad around the hat. Use icing to attach the wafer to the top of the golden Oreo. Ice the Oreo/wafer combo. Use licorice ropes/strings to create ribbons on the hat. Use piping icing to create designs, use sprinkles and candies for decorations. You need a sugar cookie, writing icing, sprinkles/sugar, and 2 colors/types of candies. This cookie is easy and can be used for any holiday! Have the students draw a # on their cookie using writing icing of any color and coat in sugar or sprinkles. Use jelly beans, red and green M&Ms, Lucky Charms cereal marshmallows, orange and brown M&Ms, or conversation hearts (any candy that matches the holiday you are celebrating). You need two colors/styles (one for X and another for O). You can also apply royal icing to the cookies the day before if you want to make them more colorful. Chapter 16 opens with the family traveling home on the plane from their visit with the BPP specialist doctors in Chicago. Schuyler’s father laments that they came to Chicago looking for hope, but in fact, are leaving with more lists of “what’s wrong with your child.” He goes own to express how his “Big Money Dream” has changed from wanting the best, newest car if he ever won the lottery to taking his lotto winnings, buying an island, and moving himself, his wife, and Schuyler to a deserted South Pacific island. It would be there that they could live out their days, not comparing Schuyler to other “monsterless” children, just coexisting peacefully, with Schuyler never knowing that she was any different. The chapter closes with the plane descending back to Texas, and Robert’s big lotto dream disappearing from his grasp.